Before discovering Acoustilog, one of our clients hired a contractor to soundproof an apartment against some disturbing neighbor noise. Despite a professional-looking job, it quickly became apparent that the noise problem was not improved. ...the original contractor's work had to be completely demolished"
Alan Fierstein of Acoustilog was hired to inspect the existing construction and to do the acoustic testing necessary to make recommendations to mitigate the noise. In the end the original contractor's work had to be entirely demolished. 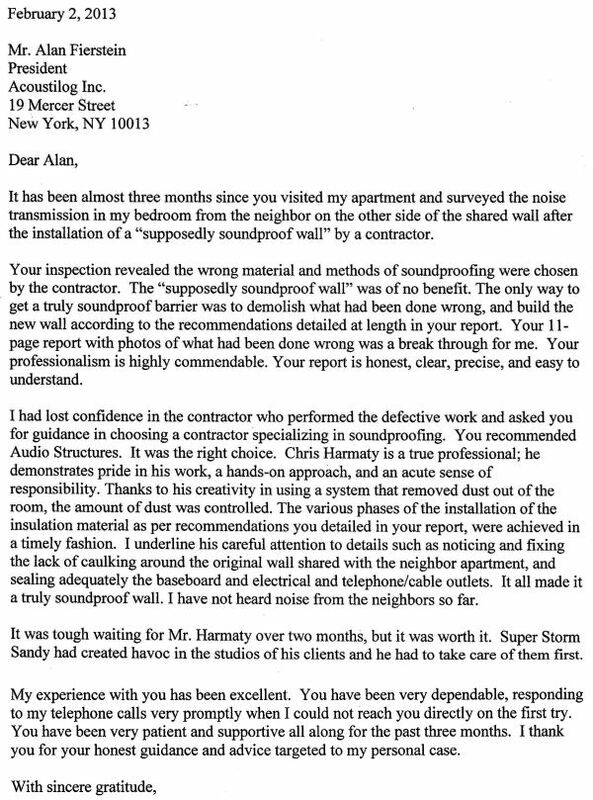 Acoustilog's recommendations were then implemented by another contractor that we recommended. 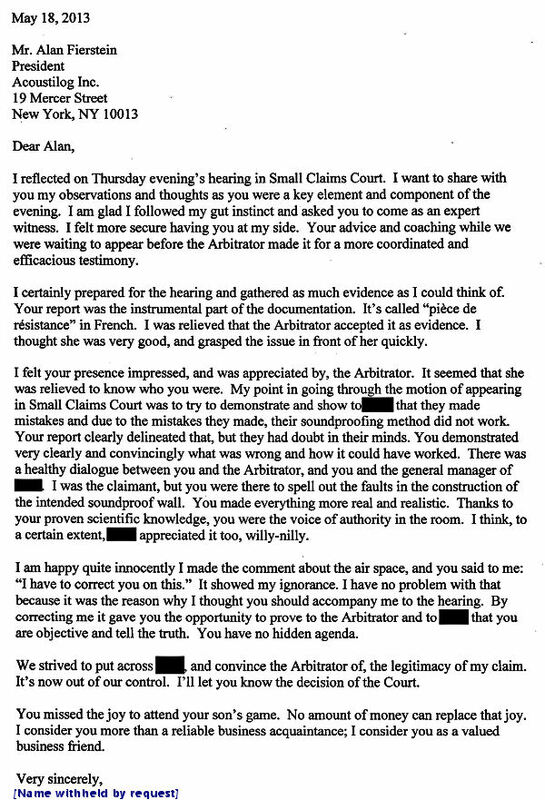 The first letter from the client (see below) thanks Al Fierstein for finally solving the noise problem. 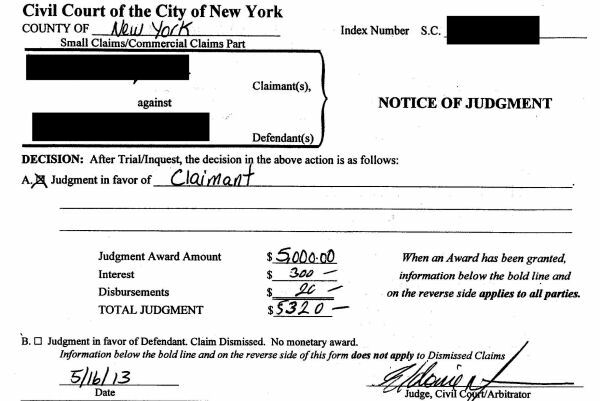 The client, still out the money paid to the first contractor, decided to sue him in Small Claims Court. Armed with the Acoustilog report and with Alan Fierstein present as an expert witness, the client won a judgment against the contractor. The Small Claims case is the subject of the second letter reproduced below. At the time it was written, the client had not yet received the Court's decision, which is reproduced below as well.